The infamous, Most Wanted Goosebumps characters are out on the loose and they're coming after you! Catch them all, undead or alive! 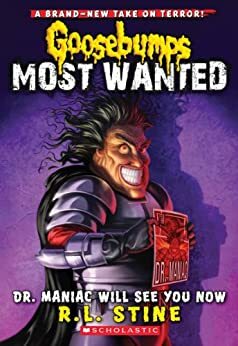 This was another great Goosebumps book and it gave you another evil character that you just love to hate. The book was an easy read and the author does a great job to draw you in and hold you from beginning to end. I always am impressed with how twisted of a mind that this author has with the characters that are presented in these books. If you want to have some goosebumps, read this and the other books in this series - you won't be disappointed!